While investigating caves in Mexico, scientists discovered bits of cotton cloth and cotton bolls (seed pods and cotton fibers) believed to be at least 7,000 years old. Around 3,000 BC, Egypt and Pakistan were growing cotton and fabricating it into clothing. Christopher Columbus noted that it was grown in the Bahamas and, by the 1500s, was being used worldwide. In the early 1500s, Native Americans were growing cotton and Spaniards planted and raised a cotton crop in Florida in 1556. By the early 1600s settlers grew cotton along the James River in Virginia. In 1793 Eli Whitney patented his cotton gin which processed cotton ten times faster than by hand giving rise to a burgeoning textile industry. Today, cotton runs the gamut from dungarees to dollar bills. 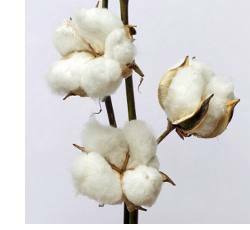 Naturally colored cottons were cultivated for years but not suited to modern day textile machines which gave rise to weaving with the long fibers of white cotton. The 1990’s saw a resurgence in the cultivation of colored cottons through the efforts of Sally Fox, an inventor from California, who successfully cultivated naturally colored cottons, such as green, brown, red, tan and yellow, once again. 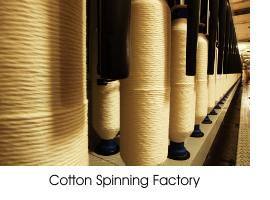 Although there are many variations, cotton has three basic weaves: plain—broadcloth, etc., twill—denim, etc. and satin—sateen. Cotton is easy to launder but will continue to shrink, so it’s wise to purchase a little extra. It’s also imperative to prewash as you would the finished garment. A tighter weave will have less shrinkage. Cotton dyes and retains colors well but wrinkles badly unless woven with another fiber such as polyester. Some added finishes can also retard wrinkling. Since sun can damage cotton, it’s advisable to line window treatments. 100% cotton breathes and can retain almost 30% its weight in water which makes it a perfect fabric for warm weather. However, polyester does not breathe, so a cotton/poly blend may be less comfortable to wear in summer temperatures. Mark the right side of cutout pattern pieces as cotton fabric often appears the same on both sides and could look discolored or shaded if some pieces are inadvertently reversed. Cotton can be woven or knitted. On 100% woven cottons, 100% cotton thread is excellent and will blend in better resulting in flatter seams. Cotton-wrapped polyester thread works well on cotton blends and some knits. 100% polyester thread stretches more and is recommended for very stretchy cotton knits. Universal or standard point needles are suggested for wovens and ballpoint needles for knits. Use 60/8-70/10 for light weight fabrics, 70/10-80/12 for medium, 90/14-100/16 for heavy and 100/16-120/20 for very heavy weights such as canvas. Cotton is generally the fabric of choice for beginning sewists since it’s easy to cut and manipulate in the machine. Start with a solid color even though a print might disguise imperfections. Occasionally a print is not reproduced evenly which makes it nearly impossible to correctly match patterns or follow grain lines. Using a solid will be less likely to distract the beginner as they learn to sew straight seams or check for any mishaps. Removing stitches gone awry is also easier to accomplish on a plain colored fabric. Medium weight cotton can often be sewn without a lining making it a very good first choice for the beginner. Zippers and buttonholes are also generally much easier to install in a substantial cotton. To protect the formidable British wool industry in the early 1700s, it was unlawful to manufacture or even import cotton cloth in England.